HOPKINS, Joanne. Coercive Control in Conflict: Implications for Syria. 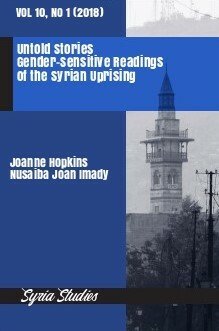 Syria Studies, [S.l. ], v. 10, n. 1, p. 1-24, nov. 2018. ISSN 2056-3175. Available at: <https://ojs.st-andrews.ac.uk/index.php/syria/article/view/1690>. Date accessed: 19 apr. 2019.